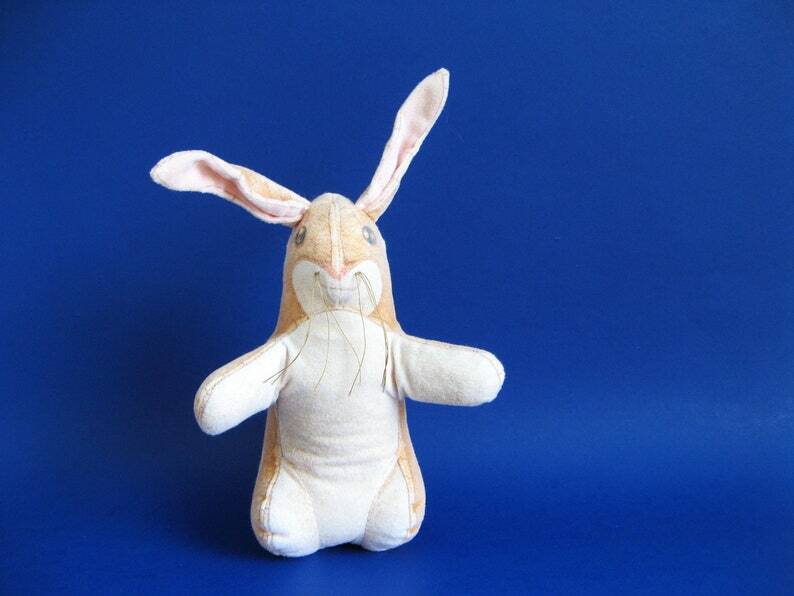 Adorable vintage Velveteen Rabbit bean bag plush. Measures approximately 7 inches tall with 2 inch long ears. Made in 1983 by The Toy Works and Armand Eisen. This rabbit is from a character in the book The Velveteen Rabbit (or How Toys Become Real) by Margery Williams.